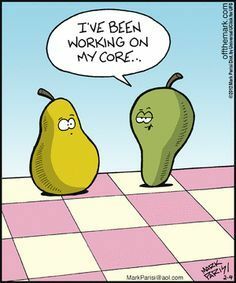 Fit as a fruitcake | Fitness and nutrition tips from a Mum of 4 trying against the odds to stay sane. Fitness and nutrition tips from a Mum of 4 trying against the odds to stay sane. Polly Hale was kind enough to write a guest post for my blog a while ago on her business The Fit Mum Formula. Her aim, since having children, has always been to help mums, who find little time to focus on their own fitness, to stay fit and eat well. She wrote her first book, Eat Drink and be Slim, as a mum with very young children and kindly sent me a copy to review. At the time it was written, she clearly wasn’t quite the same fitness fan in terms of exercising that she is now. She is now a qualified Personal Trainer and nutritionist. But nutrition has always been important to her. She wanted to write a no nonsense guide on how to eat properly, to avoid unhealthy weight gain, to lose unwanted extra weight, and all this without having to turn to fad diets. Polly’s approach is to change the way you eat and make that a lifestyle choice. If you are already fit and eating well but want ideas on eating to sustain advanced fitness levels, full on gym workouts or training for an event for example, this is not necessarily the book for you. It is, however, certainly a good book for anyone looking to lose weight. Perhaps if you have tried certain diets but they haven’t worked for you. Or you want to still be able to enjoy those meals you crave, then this is definitely worth a read. It is also a good read for anyone just needing to remind themselves not to slip into bad eating habits, and to help make you think about certain food choices when feeding your family. Obesity is an increasing problem in the UK and if everyone followed some of the tips in this book, we’d be off to a good start in helping address the problem, which is fast becoming a crisis. Also, as a Mum, I know being aware of what you eat and what you feed your family is important because your children learn from you and are likely to follow your lead in that respect. I did consider, albeit briefly, trying a sugar free month in my home for the whole family after reading an article by Louise Carpenter (read it here) but decided that was going to be impossible with my kids! I have however made some little changes, such as only buying natural yoghurt for the children to eat with fruit and granola if they are still hungry after a meal, rather than sugar filled flavoured yoghurts, swapping biscuits as a snack after school for rice cakes or nuts, and allowing a lot less fruit juice consumption (I was already fairly strict about that but have got more so). My eldest son is very interested in nutrition and fitness, which certainly helps, and he’s been asking to help cook more frequently, so hopefully I’m setting him up on the right path for later life. A 400g baked potato with 300g of baked beans contains 459 calories, compared to a 200g potato with 200g beans and an undressed side salad which contains 326 calories. It’s easy to think you are eating relatively healthily but sometimes we still eat more than our body needs. Or another example of a tuna mayonnaise and cucumber sandwich which contains 498 calories and 26g of fat. Whilst a tuna and cucumber sandwich, without the mayo, contains 285 calories and only 4.7g of fat. Which is a scary difference! By cutting out little things like the mayo in a sandwich, you can have a huge impact on your health and weight. Her book contains recipes, calorie charts, loads of useful tips and common sense advice that we just need reminding of sometimes. It’s the type of book you can dip in an out of when you need some inspiration for a healthy but still delicious meal for the family or just to motivate yourself to not go hunting for snacks out of boredom or tiredness. An interesting point Polly makes is about a study which has shown that people who have enough sleep have more of the hormone leptin in their system. Leptin lets you know you are full. Sleep deprived people have more of the hormone ghrelin which stimulates appetite. Which explains why it’s even more important to get a good night’s sleep! If you would like to read more, visit Polly’s website and get a copy of her book! 10. Running socks – perfect stocking filler. Check out these kids ones from Decathlon. Good for grown ups too. Bigger ones of course. 9. For either men or women a subscription to a fitness magazine. 8. A stopwatch – give children a competitive element, allow them to time themselves and motivate them to do any form of exercise! Another good stocking filler. 7. A framed print from Small Pictures and Projects. Like this one which I love for cycling fans! 4. A gift voucher from Nike or Wiggle. Can’t go wrong! 3. A sports massage. Not for the faint hearted. Ouchy but good. 2. Sign up someone with a busy lifestyle, who is finding getting their nutritional balance right, a week of meals specially prepared and delivered to their door each day. They can choose to continue this if they like it and find it works for them. 1. A sports watch. Tom Tom Runner Cardio is a great sports watch that monitors heart rate as well as being easy to use, giving you real time running statistics and a slim, lightweight design. Mums – How To Lose Weight and Get Fit From Home! Today I have a guest post from the very lovely Polly Hale, Director of The Fit Mum Formula. Polly tells us about her business and how she can help stay at home mums with young children to get back in shape and get fit from the comfort of their own homes. As a mother (and I know most of you reading this are mothers) do you ever feel like there are just not enough hours in the day – and of those available, spending it on yourself is at the bottom of the priority list for even basic things like sleep, let alone exercise?! Yeah I get that. I’ve got two girls, now 3 and 6 years old, and I was very lucky to be able to stay home with both of them, and even today nursery accounts for a mere 6 hours a week. Don’t get me wrong, I wouldn’t have it any other way. But as an ex-dancer, now personal trainer and nutritionist, and as someone who has always been fairly fit, like you I was suddenly facing a life where everything is for everyone else, and dealing with a post-baby belly, backache from all the lifting and carrying, and exhaustion from lack of sleep was to be tackled ‘another day’. Us Mums – we don’t have time (or childcare) to go to the gym or group classes or go for long runs every day. We realistically can’t make separate meals for ourselves when we’re already cooking for the family (which often involves more than one meal in itself), we are tired and tend to reach for foods that give us an instant energy lift (but ultimately make the problem worse) like biscuits, toast, and even seemingly ‘healthy’ cereal bars. So when I met my ex-cofounder and business partner Angela at a local business Mums’ networking group (babies in car chairs in tow), our passion for all things health and fitness was instantly apparent, and between us we determined to create a solution to Mums’ problems with getting in shape and back to their old self. With both finding it hard to fit exercise into our lives and little time to plan laborious meals we decided there was a need for a method for Mums to get their pre-baby body back with a technique that required minimum time and effort. A system that targets the body’s own metabolism fits these criteria since it delivers maximum results in a very short space of time. As you will learn while following The Fit Mum Formula programme, Metabolic Conditioning does just that –it conditions metabolism to be more efficient at burning calories and fat even when resting. High Intensity Interval Training requires you to push yourself hard, but because of this you get amazing results even with just three half hour sessions a week, so can fit into nap times, or even before the school run! The food aspect is my favourite part – I love food and creating recipes! But I also want to feel good, have loads of energy, and fit into my clothes! It means I get to be creative in the kitchen, finding alternative snacks, devising tasty recipes that fit the criteria for contributing to health rather than being empty calories. My low sugar, healthy protein carrot cake I made for my birthday last year was a particular success (and everyone gobbled it up as fast as any ‘traditional’ version)! Recently a whole section on beauty & skincare was added too – I’m also a qualified beauty therapist and worked in a 5 star spa before kids – a bit of pampering can really lift the spirits and doesn’t take nearly as much time as you think. But the most invaluable feature for my members is the Private Members’ Facebook Group, where you can chat to other members, ask me questions, get feedback, reach out for support and share your pride as you make progress. That accountability isn’t found in a magazine plan! Make your diet & exercise work for YOU – Not the other way round! The information is delivered in a way that revolves around family life, so all the videos, meal plans, cookbook, shopping lists, food and drink guides, and educational resources are online so you can access them 24/7, whenever it suits you. The educational aspect is particularly important. I didn’t want to just dictate a cookie cutter plan for women to follow – there’s plenty of those in magazines but they’re not flexible to be able to fit into your own life, which makes them unrealistic to stick to. I want to empower women to learn lifelong tools and skills to stay healthy, feel and look great, long term without having to rearrange their entire life to achieve it. As a special offer to readers here you can get your first month at a reduced price of £9.99 (normally £17 monthly) – simply email your receipt quoting where you read this blog and the difference will be refunded. Is fitness a state of body, or mind? Are healthy people happy? Or are happy people healthy? Is being in good shape being able to do 100 press ups, run 5 miles or climb a mountain, or is it being able to live your life with a genuine smile on your face because you are truly content? When you become a member of a gym you are asked why you are joining and what you hope to achieve. So I asked at my gym what reasons most people gave as their motivation for joining. On average 100 people join a gym each month and the majority will ask for goals to help with fat loss or weight loss. But when the personal trainers actually start talking to them as they come to their sessions, the underlying reasons become more apparent. Most people want to feel more energised, to be healthy and support a change in lifestyle, to reduce stress and sometimes to use it as a momentary diversion or escape from everyday life. Not everyone will admit to these last reasons, but that in itself isn’t surprising, as sadly many people still see a stigma attached to talking about mental health. Exercise is not only helpful in lowering your chances of heart disease, stroke, some types of cancers and dementia, but also works for many people as a way of avoiding, managing or even curing high levels of stress, anxiety or depression. Studies have shown that even a 10 minute brisk walk can offer several hours of relief. 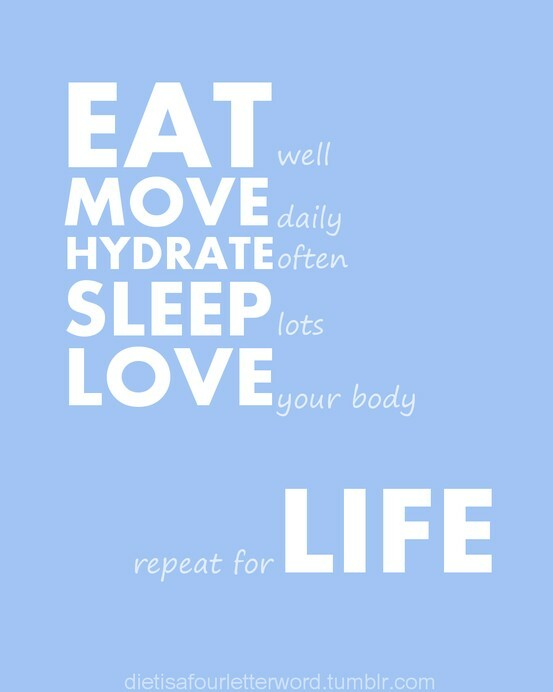 Nutrition also plays a large part in keeping us mentally as well as physically fit. Eating the right combination of complex carbohydrates, essential fats, amino acids, vitamins and minerals and water helps balance mood and feelings of wellbeing. So how about me? Why do I run, go to the gym, do yoga and do FitSteps classes? I am a self declared fruitcake. I have 4 very energetic little boys. My stress levels need reducing pretty much constantly and exercise helps to do that for me. And the form of help it offers differs between types of exercise too. Yoga is good for quiet contemplation, relaxing, enjoying the moment and letting go. #findwhatfeelsgood is Adriene Mishler’s motto. Running, which I tend to do with other people, is not just a physical outlet, but I also get to chat to all sorts of different people about all manner of different things, which I really enjoy. Going to the gym requires more focus and dedication and sometimes a bit of pain. In a good way. But it’s also a way of switching off from outside issues and concentrating on improving core strength, muscle definition and tone. FitSteps is Fun. Lots of my friends go to the same class. We laugh, we have been known to cry (I think I am possibly the worst culprit), and we dance! Lovely Emma Golds must feel like part FitSteps instructor, part counsellor. But she is also a friend. And a good one at that. 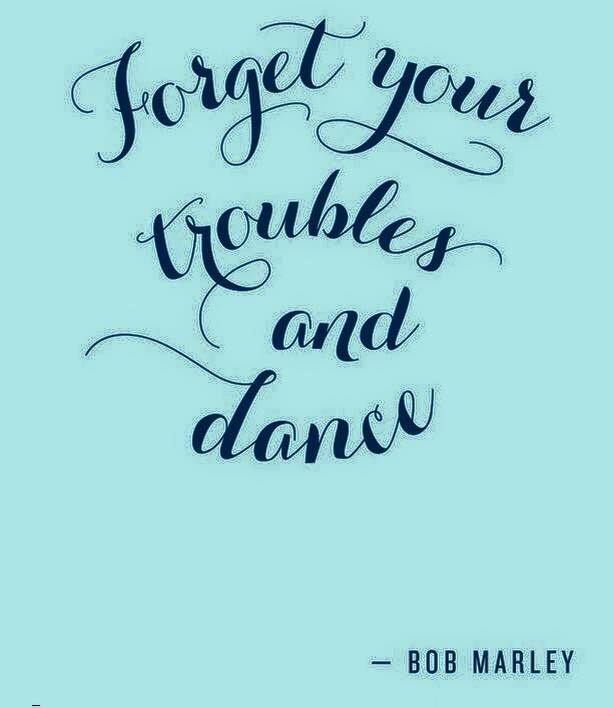 And dancing is always fun in my book! 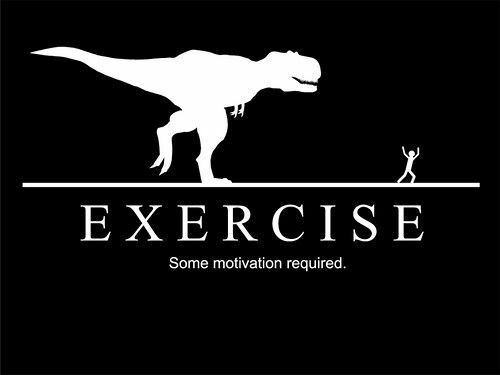 So I use different forms of exercise for different things. And I feel better about myself and about life in general when I am in better shape, eating well and chatting and laughing with lovely people. Up and Running is a running group in my local area to help women beat depression. Today is National Stress Awareness Day. My children are part of the reason I became a fitness fan. They are bundles of energy from the moment I raise my weary head, till the moment they finally go to bed. And I should celebrate that love they have for activity and exercise. It is my boys’ love of running that motivated me to become a children’s running coach. It is for them I have become the Manager of a junior football team. Getting my children to be active is not usually that challenging. Although getting them to come for a dog walk with me often involves far too much cajoling and generally ends with my questioning why we have a dog if they are so resentful about having to walk him! But not all children have the same love of exercise and it’s so important that we find ways to encourage all kids to keep fit. A fifth of children joining primary school in the UK are obese or overweight. And more worrying is that this number doubles by the time they leave primary school. 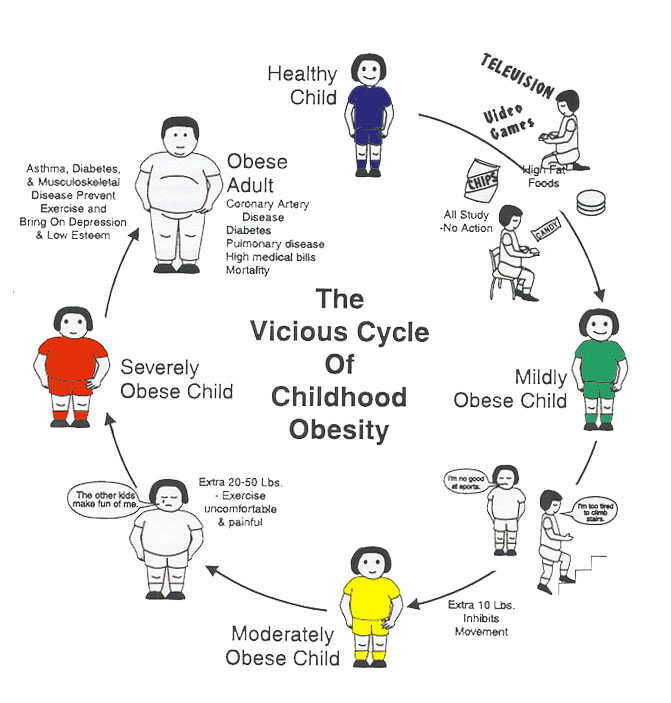 It puts children at risk of developing heart disease and diabetes in later life. Being overweight can also lead to high blood pressure, increased risk of developing some cancers, and breathing problems. Plus it can affect self-esteem and mental health. Pictures like these help my children realise why I’m “so boring” and only let them drink water most of the time. And here are 5 ways to ensure your children stay active (they need at least an hour of physical activity a day). Joining a weekend club sport ensures they will be committed to regular exercise. My boys all do football every Saturday (and several other days a week too) and the two eldest have joined an athletics club. Get a dog! Although they may be reluctant to actually go for a walk with him/her, once they are out they usually have fun. I appreciate that isn’t a realistic option for everyone – but offering to walk a friend’s dog might be. I bet your children would think that much more exciting. And no doubt your friend would be grateful too! Go den building in the woods. Or bug hunting. Our favourite place for den building is Riverhill Himalayan Gardens http://riverhillgardens.co.uk but you can build a den in any wooded area providing there are fallen sticks. I don’t recommend destroying any trees to build a den though! For older children an exciting walk/hike especially if means one-on-one time with a parent can be an exciting adventure. Letting your children choose the activity they do can sometimes be a great motivator. It could be a different one each weekend. And this not only gets them up off the sofa but creates opportunities for fun family time. The key is to keep it fun. 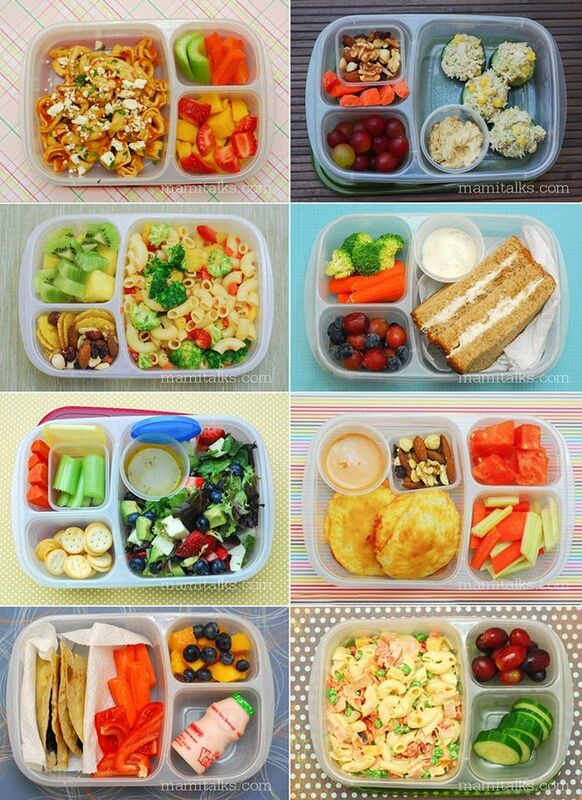 Please feel free to make suggestions of healthy lunchbox ideas or ways to keep kids active in the comments below. The average woman in the UK owns 20 pairs of shoes, 9 pairs of which they never wear. And whilst most women would love to own a pair of Manolo Blahniks, these may end up being saved for a ‘sitting down’ occasion in case they hurt too much to dance in (unless you are Carrie Bradshaw). Running shoes do not get saved for a special occasion. They get worn. And worn. And worn. Unless you are not a runner. Then they may end up being one of the 9 pairs left in your wardrobe. Who knew I would ever get as excited about a new pair of trainers as I would about a new pair of killer heels? Certainly not me a couple of years ago. And yet this is where I found myself when faced with the realisation that my running shoes, already in a fairly shabby state, would need throwing in the bin moments after completing the Major Series mud run. When choosing a pair of shoes to finish off a party outfit what do you go for? Well if you’re up on this Autumn’s trends it may be some thigh high boots, or anything with fur on them. Yeti feet wouldn’t look out of place right now, based on some of the offerings on the catwalks. 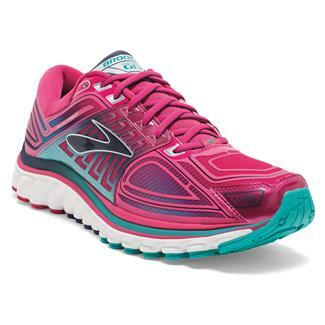 Perhaps a simpler question to answer is what should you look for in a running shoe? Or maybe that’s not simple either. Everyone has different needs. It depends how you run, where you run and for how long you run. I need a Neutral running shoe. So my favourite brands are Saucony, Brooks and Asics. My Nike Free Runs I love love love for the gym and classes, but I prefer other brands for distance running. Asics are in my opinion a better looking shoe. They often come in more exciting colours and lets face it, just because we’re sporty doesn’t mean we can’t be stylish. They come up a bit smaller and narrower so I take a size up in Asics from my normal shoe size. They sit higher up on the heel and offer good ankle support. 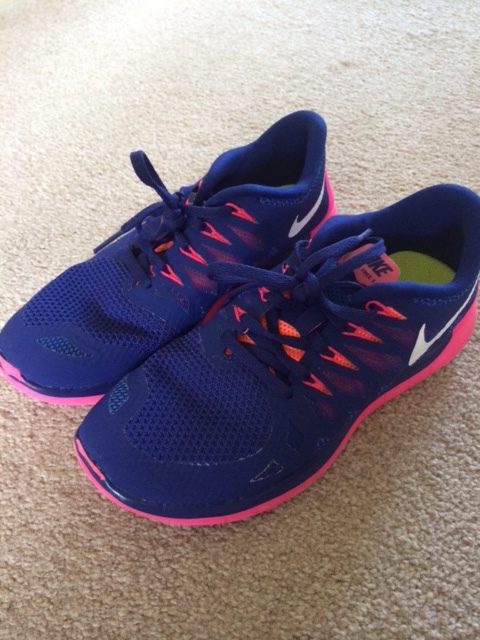 Brooks – I want a pair but don’t currently own one. They are super comfy and I nearly bought a pair of Glycerin 13 in pink… But in the end I stuck with what I knew and got another pair of Saucony. Saucony are the oldest mainstream athletic footwear brand, having been around since 1898. Little trivia fact – the company was bought by AR Hyde and Sons in 1968, shortly after they made Neil Armstrong’s lunar boots. So very indirectly, they are made for moon walking. 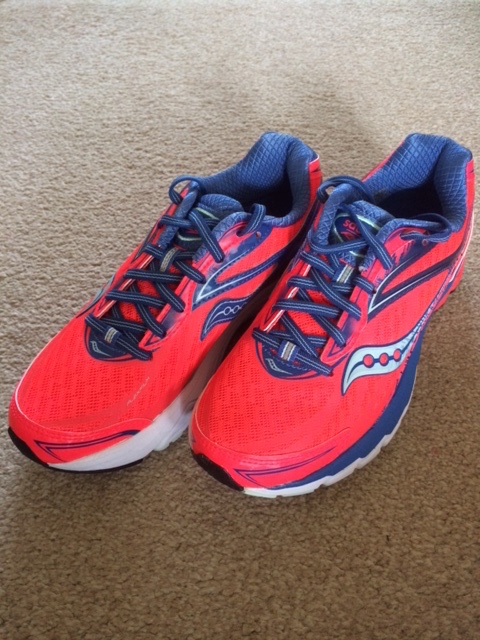 If you believe that ever actually happened….anyway, I digress….I got the Saucony Ride 8. They are bright! Well they were. But they are already muddy and will only get more so. Hopefully they’ll last as well as my last pair…which were well loved and worn until they were trashed. Check out the Wet Test as described here on Runner’s World before you go shopping for a pair of running shoes, go to a specialist shop where you will get good, knowledgeable advice from the sales staff, and make sure you get shoes that suit your running style. Don’t fall for a pair that look awesome, but will end up sitting in your wardrobe with those other 8 pairs of unworn shoes! Kale – Superfood or a cause of hypothyroidism? I love Kale. Some people view it as the enemy, say it tastes too bitter, or just aren’t sure what to do with it. 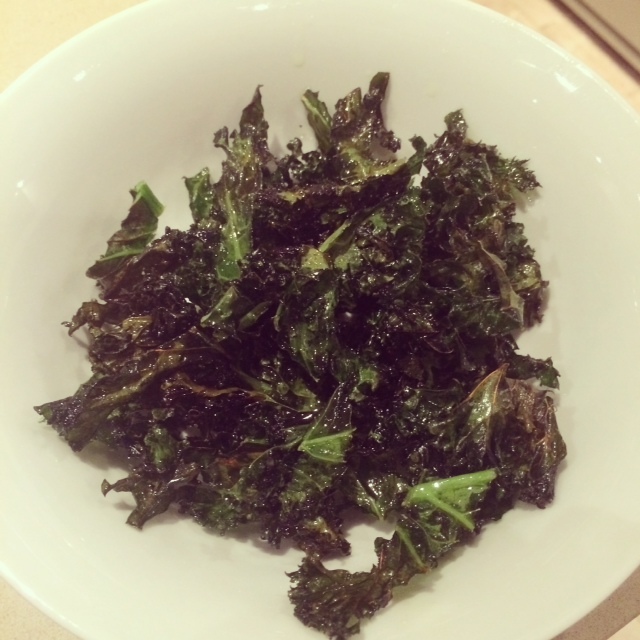 But they just need to try Kale Crisps (recipe below). Or add it to a stew. Yum! And of course kale has been viewed for quite some time as a superfood to be included in juices and smoothies and just generally to be added to your diet because of it’s many nutritional benefits including it’s properties as an antioxidant. But then a friend who suffers from an under active thyroid (hypothyroidism) who ate lots of kale, was told to avoid it as it was contributing to her thyroid condition. (Other food to avoid include almonds, soy, strawberries, peaches and peanuts amongst others!) I think we could probably find a good reason and equally bad reason to eat or drink most foods. Brewed coffee had been celebrated as a means to inhibit Alzheimers disease, heart disease, strokes and cancer because of its antioxidant properties. 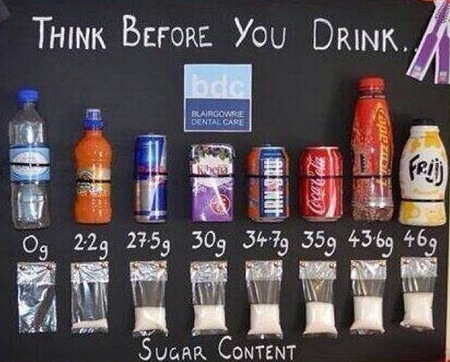 But if you drink too much it can lower your bodies PH and act as a carcinogen. I gave up caffeine several months ago and have noticed that my skin looks less tired, my energy levels remain more constant throughout the day and I am less snappy with my kids….sometimes! But I do still have an occasional cup, and really enjoy those occasions. Plus I always hope this infrequent pleasure will keep senility at bay. Although I often feel I’m half way there already not sure anything can help. Anyway, I digress. Going back to the supergreen superfood and what it does and doesn’t do for our bodies. Well it definitely does contain vitamin C, iron, fibre and calcium. It certainly has great nutritional benefits for the majority of the population. So what about it’s dangers? Well kale does contain goitrogens that may indeed contribute to an enlarged thyroid. Other vegetables containing these goitrogens are bok choy, broccoli, brussel sprouts, cabbage, cauliflower, turnips, and watercress. They all contain the substance thiocyanate, which in very high concentrations, can interfere with adequate iodine nutrition. But according to several studies by Doctors from UCLA and Harvard eating these vegetables in ‘normal’ amounts should have no adverse effect. Vegetarians and vegans and anyone who is iodine deficient may have to be slightly more careful. Adding a vegetable that has a high iodine content, like seaweed, may also help get around this. I am not a doctor, so I think it’s very important that anybody who is concerned about this seeks the correct professional advice. However, I generally believe that anything in moderation is alright. Which is how I justified eating chocolate caramels recently while on a dairy free diet, or why I can enjoy a rare cup of caffeinated coffee whilst being caffeine free! So for those who want to eat kale, feel it’s safe for them to do so and haven’t tried kale crisps I suggest you do so immediately! Roast in the oven on a tray lined with greaseproof paper for about 10-15 minutes until crisp.